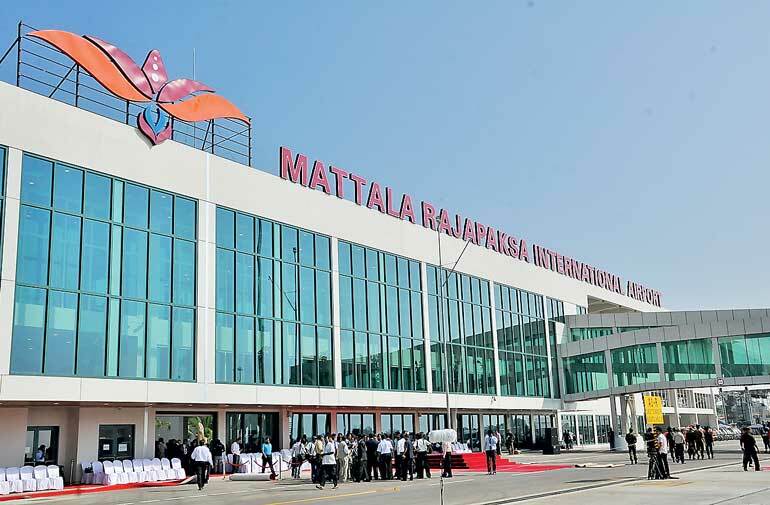 Negotiations on an Indian proposal for a Joint Venture to turn around the loss-making Mattala Airport will take off tomorrow with plans by the Transport Ministry to renegotiate the terms offered in the initial proposal. The ministry will commence negotiations on a ratio for the sharing of equity, starting at 49:51, for India and Sri Lanka respectively to counter the Indian proposal of 70:30, Daily FT learns. Further, the ministry will also request a more detailed proposal for the JV. The Cabinet last week gave the Transport and Civil Aviation Ministry the green light to appoint a suitable Cabinet-Appointed Negotiation Committee (CANC) to evaluate a proposal by the Government of India to enter into a JV to develop the Mattala Airport. “We have to first prepare an employer’s request and outline what function can be included under the JV and what should be retained by the ministry. We have to outline all the infrastructure available and functions like air traffic control and the functions of civil aviation regulations cannot be given to a JV. Only the commercial activities can be given,” said Transport Ministry Secretary Nihal Somaweera. The Indian Government’s proposal for investment, which was given to the Ministry in May to form a JV company with the Sri Lankan Government, proposed a ratio of 70:30 for 40 years. “This will have to be renegotiated depending on the investment amount they are willing to bring in to the venture. The time period will also have to be renegotiated,” Somaweera said. Steps are already underway to obtain fresh evaluation from the Government valuer for the leased land and other assets of MRIA. The negotiation for equity share will also be based on the valuation report, Somaweera said. The initial proposal given by Indian Government has expressed interest to Operate, Manage, Maintain and Develop MRIA and is not limited to commercial aviation. The proposal also shows interest in developing aircraft maintenance repair and overhaul, and maintaining a flying school. According to the proposal, the Indian Government is ready to invest $ 205 million as their equity share while expecting their Sri Lankan counterpart to share the balance $ 88 million, totalling $ 293 million as per their assessment value of the net worth of MRlA. However, the Cabinet proposal submitted by the ministry highlighted that the proposal was at an initial stage, and that it should be further evaluated based upon the re-evaluation of the assets and lease value of land. Further, it was also proposed to obtain a feasibility study with special attention on the conditions necessary to be included for the JV with India. The Ministry called for ‘Expression of Interest’ (EOI) for aviation-related ventures at MRIA following Cabinet approval in December 2016 to call for investors due to the continuous operational loss currently incurred by the venture and received eight proposals mainly from local investors, but none covered the entire operation, management and maintenance of MRIA. However, these proposals too are presently being evaluated for the selection of an investor. “Those proposals were not successful, they were all for small operations focusing on single activity pilot training which will not generate enough revenue,” Somaweera said. According to the ministry, the accumulated loss born by Airport and Aviation Services Sri Lanka (AASL) as at 31 December 2016 was $ 15.6 billion. The average operational cost, including loan interest, without exchange loss per year is $ 20 million. The total investment of the troubled airport is $ 252 million inclusive of a $ 39.6 million price escalation claimed by the contractor and another $ 4 million invested by AASL.